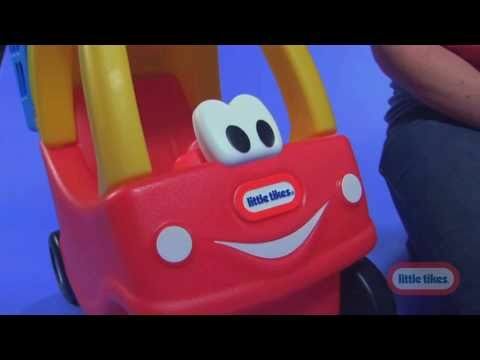 Now kids can go shopping with Cozy Coupe and their favourite toys! * Cart is styled after the classic Cozy Coupe! WARNING: Adult assembly required. Tool needed: Hammer Phillips screwdriver and safety glasses. Assembly instructions included. Prior to assembly this package contains small parts: hardware which is a choking hazard and may contain sharp points. Keep away from children until assembled. To avoid serious injure continuous adult supervision required.